Once a Pike, always a Pike. When you became a Pike, you joined a lifetime network of 275,000 brothers. 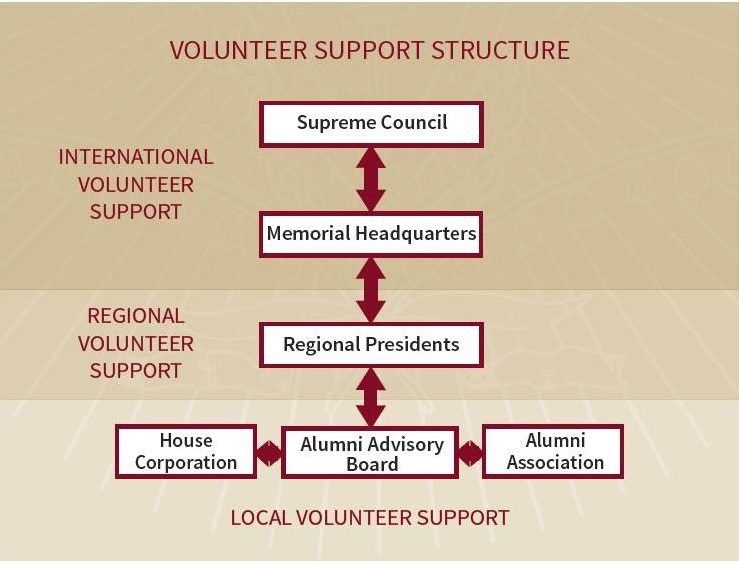 You can continue that association almost anywhere in North America by joining an alumni association or volunteering at the local level. Pike Shaped You. Now You Can Shape Pike. Local volunteer support is vital to the success and relevance of our Chapter and our Fraternity. Alumni mentors serve at all levels of the Fraternity. 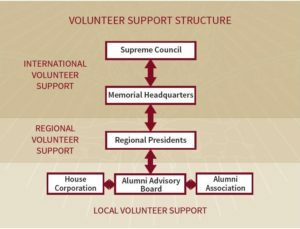 Alumni Advisory Boards, House Corporations, and Alumni Association volunteers play critical roles in making better men and adding to the lifelong experience of being a Pike. If housing is a competitive factor on campus, the purpose of the house corporation and its volunteers is to achieve and retain competitive housing for the benefit of the chapter. This is best achieved through effective management and long-term planning. House corporation volunteers come from all walks of life. However, it is ideal to have board members with corporate management and/or real estate related backgrounds. Above all, having a passion for providing premier housing for their chapter is a must. The easiest way for an alumnus member to stay involved with the Fraternity is to actively participate in a local alumni association. The creation and maintenance of a chapter-based association allows alumni to maintain contact with their brothers, their chapter, and their university. Area based associations provide both social and professional networking opportunities in major metropolitan areas. Our alumni associations stay connected with other brothers through a variety of events hosted by the association (i.e. golf tournaments, Founders Day banquets, homecoming festivities, etc.). For more information on volunteering for PIKE, download our PIKE Volunteer Prospectus or email volunteer@pikes.org.